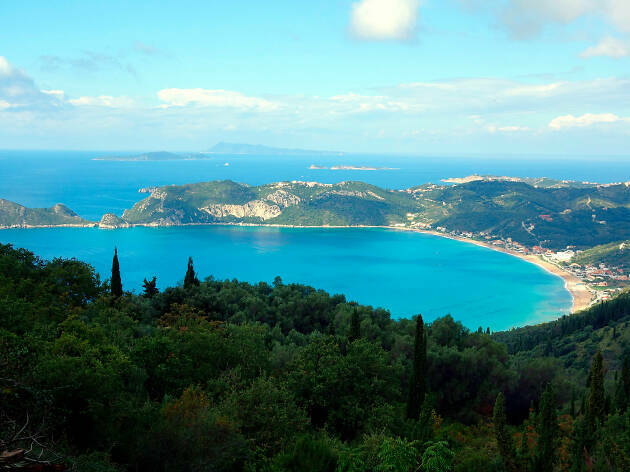 With its luxuriantly leafy landscape, packed with olive trees, fruit groves and Italian Cypresses, this Greek island is distinctively rich and leafy—and the best things to do on Corfu prove that. It’s a stunning contrast with the turquoise-blue of the Ionian Sea that surrounds it. This lush landscape has been home to the Venetians, French and British. (So much so, you’d think you were standing in Italy or France.) The architectural influences they left behind are very much a part of the experience here. 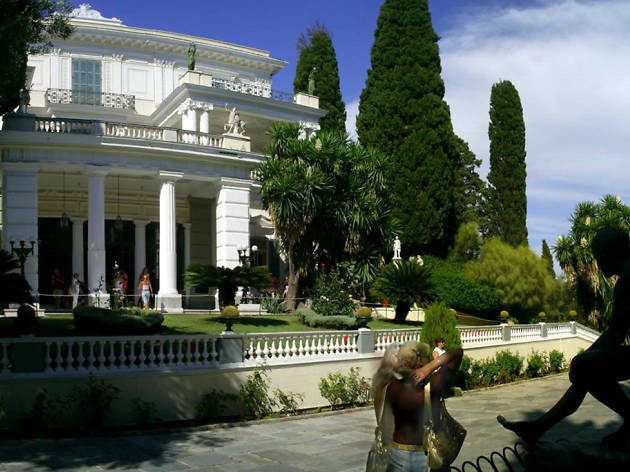 You’ll spot buildings with colonnades, promenades, wrought-iron balconies, shuttered windows and terracotta rooftops. 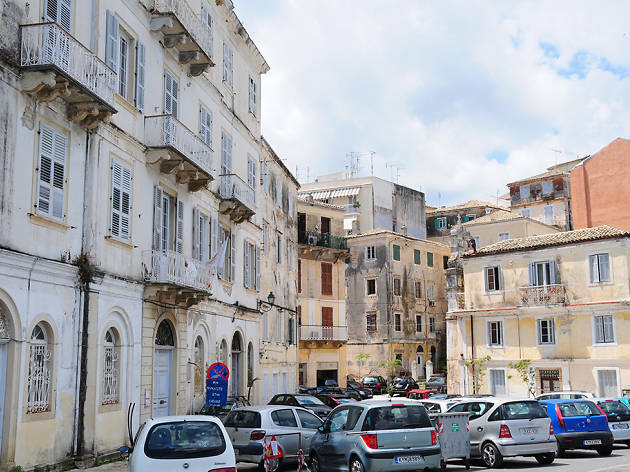 Corfu’s pedestrian-only old town is the best example of this. 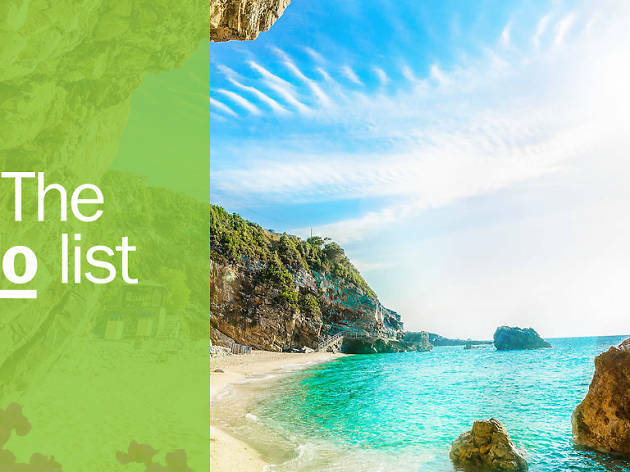 Beyond it, beautiful sights, idyllic beaches and ornate palaces are also waiting to be explored. What is it? A Unesco-listed old town with some of the most photogenic corners on the Greek islands. Why go? 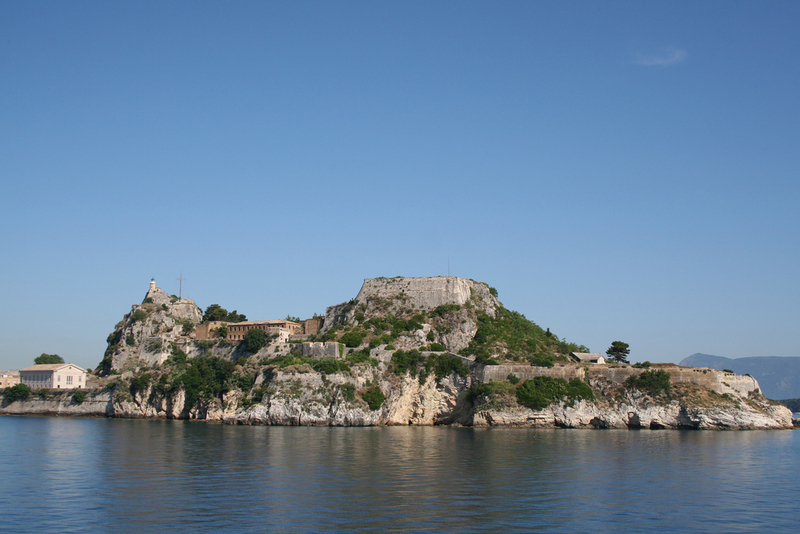 What makes Corfu so beautiful is its confluence of world influences. Admire the Italian architecture, peaceful squares, towering spires and sturdy stone medieval walls that seem to paint a movie set like a backdrop – all ready for exploring. 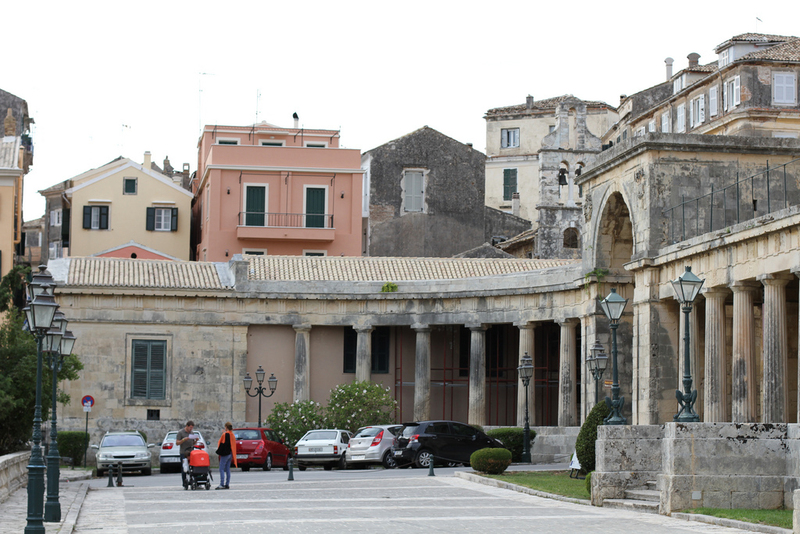 The architectural styles seem to span from all corners of Europe, including the very British town square called The Spianada. The cricket field here is the only one in Greece. A row of cafes lined along The Liston resembles Paris’ Rue de Rivoli. Meanwhile, the Venetian influences are tangled in a web of tiny walkable lanes where colourful bougainvillaea hangs over painted walls and tumbles off terracotta roofs. What is it? 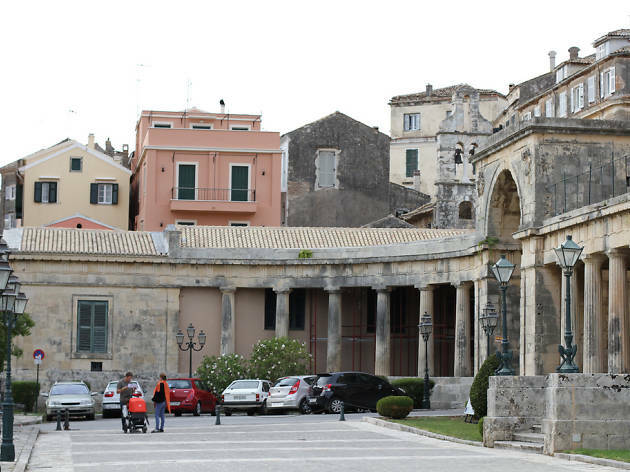 The Old Fortress and New Fortress seem to watch over the Old Town, each a fascinating piece of the island’s history. Why go? Both offer panoramic sea views so be ready to snap photos. 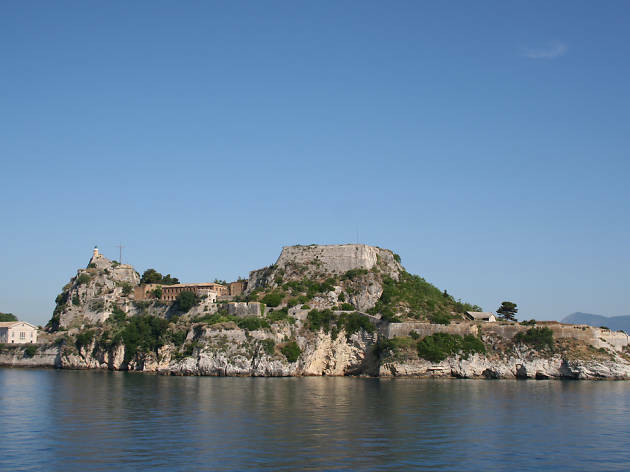 The Old Fortress sits on a rocky islet built during the Byzantine era. Don’t be fooled by the name, the New Fort is old too. It dates back to the sixteenth century, built by the Venetians. What is it? This stately nineteenth-century home was built for the British High Commissioner Sir Frederick Adam. 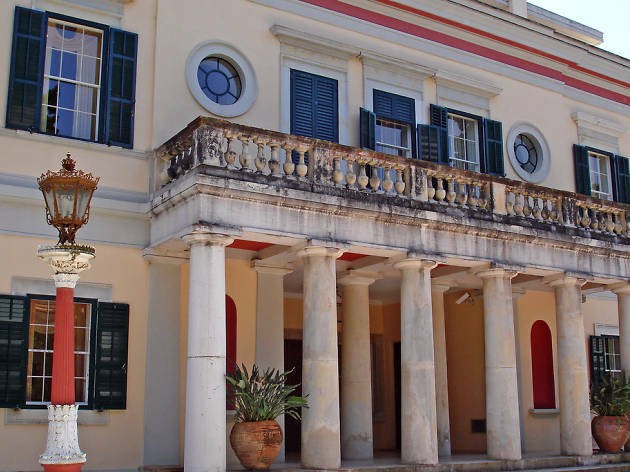 It was also where author Lawrence Durrell lived in the 1930s. Why go? To see the British influence on the island. The Duke of Edinburgh was born at Mon Repos. What is it? Designed in the nineteenth century to be over-the-top and as palatial as Viennese palaces could be, this palace has held just as many glamorous roles since. Why go? 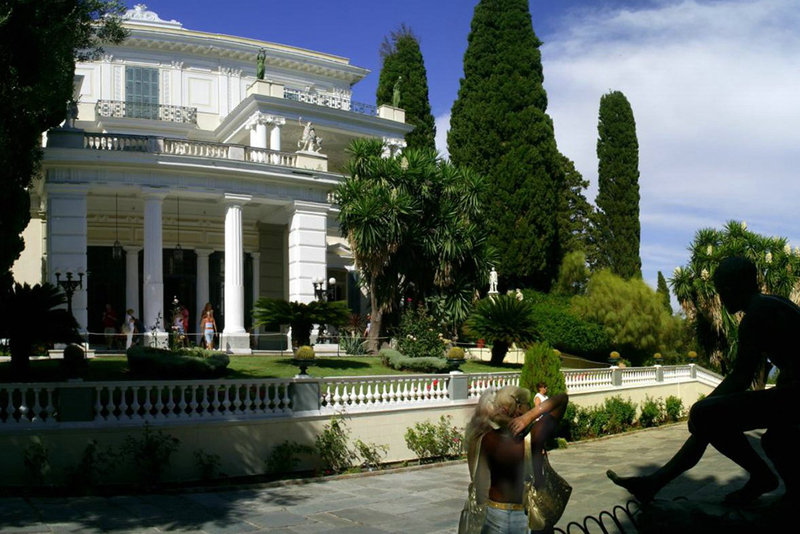 Located near Gouvia, this palace – now a museum – has several claims to fame. If you are a James Bond fan, you’ll recognize it as the casino in ‘For Your Eyes Only’. It has royal connections too. It’s the birthplace of Prince Phillip, but before that, it was constructed as a royal retreat for Empress Elisabeth of Austria. What is it? A thirteenth-century pastel painted monastery set on a cliff top overlooking the sea. Why go? 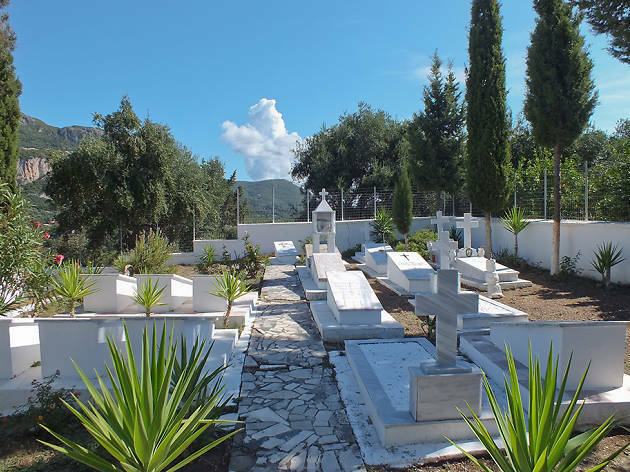 The stunning views over the entire island are just one reason to check out this religious site. At the museum, significant icons are on display. It still runs as a monastery. You can see monks go about their daily business while you hang around here. What is it? The Asian Art Museum houses a vast collection of Asian art and artefacts collected by two Greek diplomats. Why go? 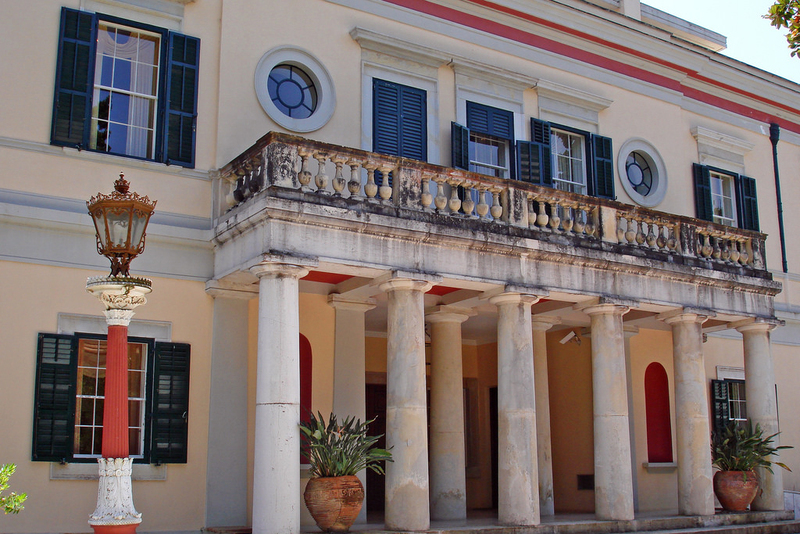 If you love art, this unique Greek island museum – housed in a former palace – is definitely worth visiting. You’ll find eclectic exhibits from China, Japan, Tibet, the Gandhara Kingdom (now Eastern Afghanistan and Northern Pakistan), Cambodia and Thailand. What is it? 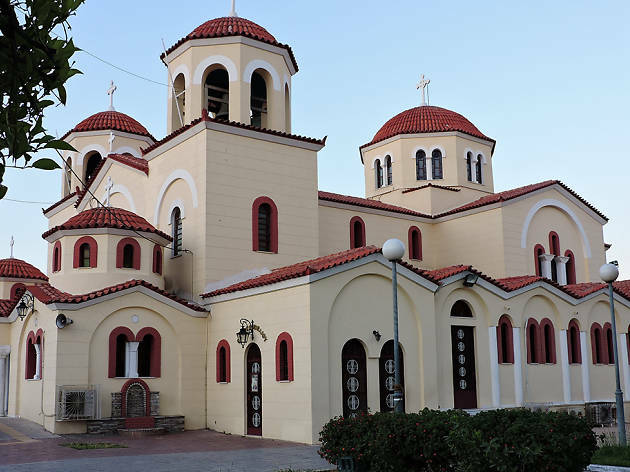 This church – with a red-painted bell tower and a spectacular interior – is one of Corfu’s most colourful landmarks. Why go? The red-domed belltower will peak your curiosity from afar. 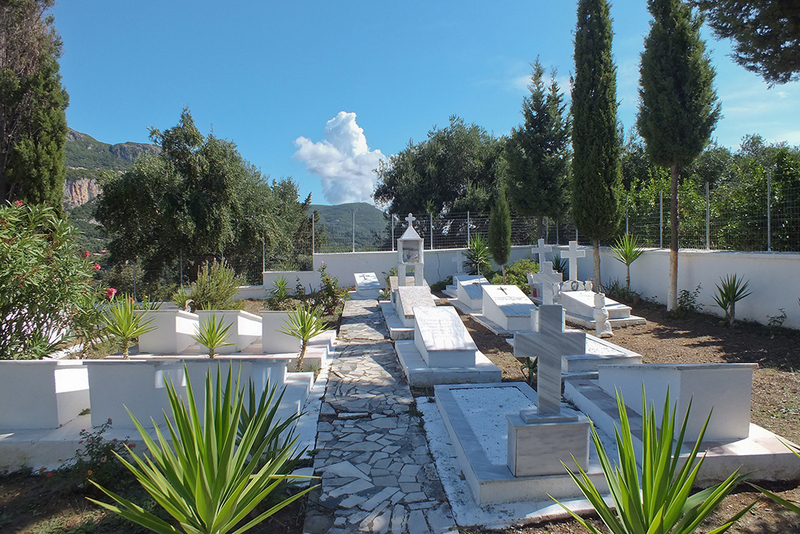 Inside you can admire the final resting place of St Spyridon, the island’s patron saint. His mummified remains lie in an ornate sarcophagus. According to local legend, the saint’s slippers are down to threads because he walks into town in the middle of the night. What is it? This swimmable picturesque canal (and its beach) is one of the most romantic places on the island. Why go? 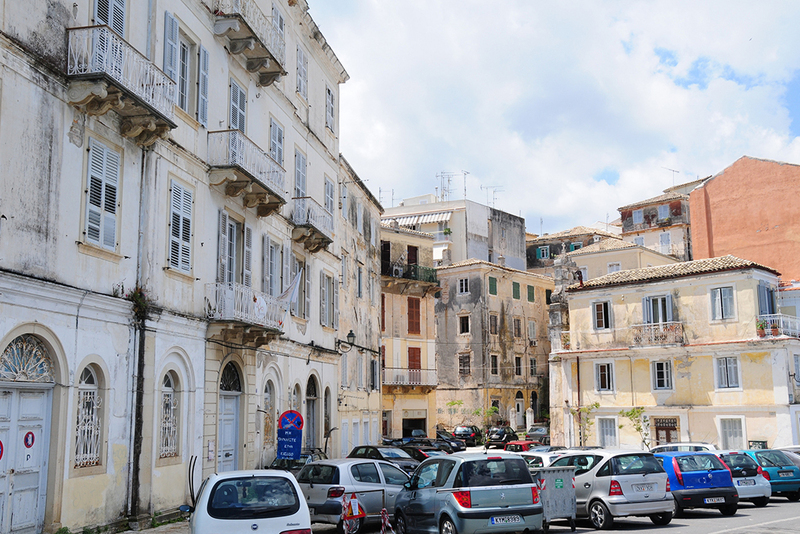 This wave-worn rocky corner of Corfu attracts the romantics visiting the island. That’s because legend has it that couples who swim between the sea walls here stay together forever. For even more romance, hold hands with your significant other as you take in Sidari’s legendary sunset. What is it? 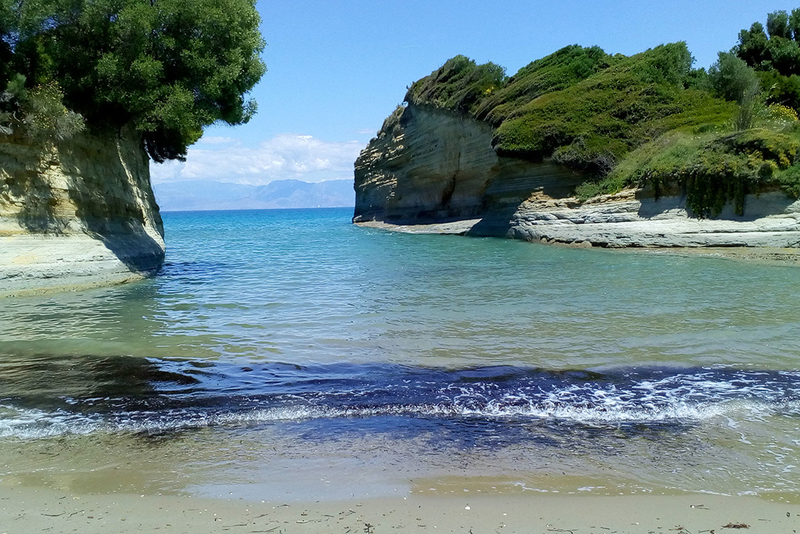 A long hiking trail that meanders 220km from one end of Corfu to the other. Why go? 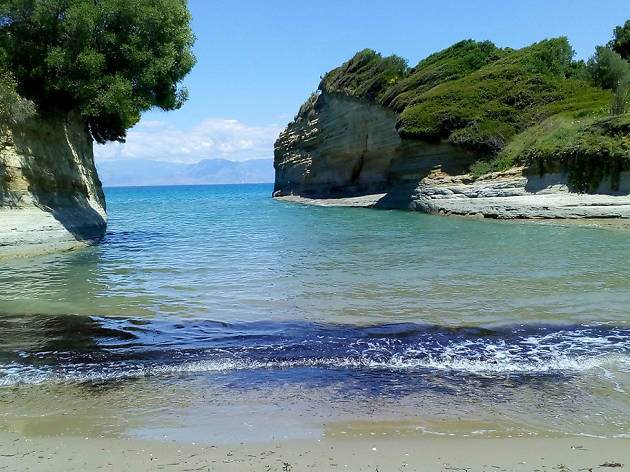 If you want to really get to know Corfu’s gorgeous landscape – studded with mountains, and lined with beaches and lagoons – this trail has you covered. Traversing the whole trail will take a bit of time – at least eight days – however, the stunning and diverse topography makes it well worth the walk. What is it? 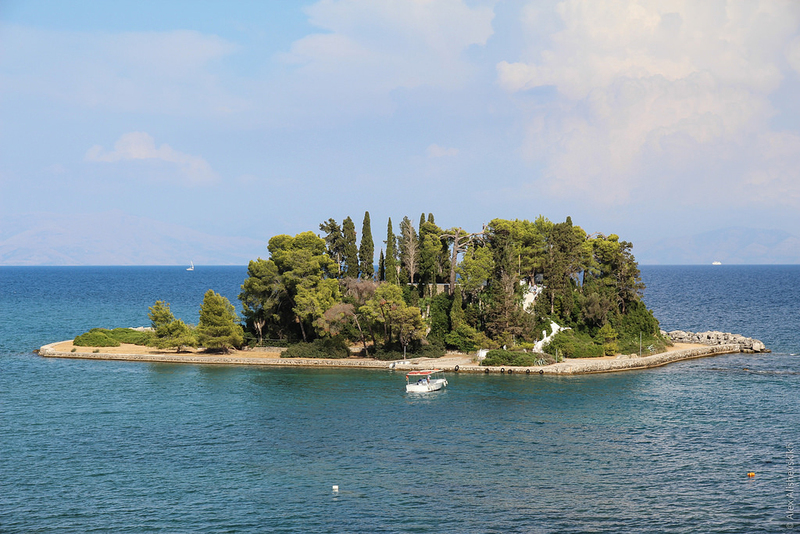 Pontikonisi islet is one of the most peaceful spots in Corfu, featuring a small monastery and chapel. Why go? 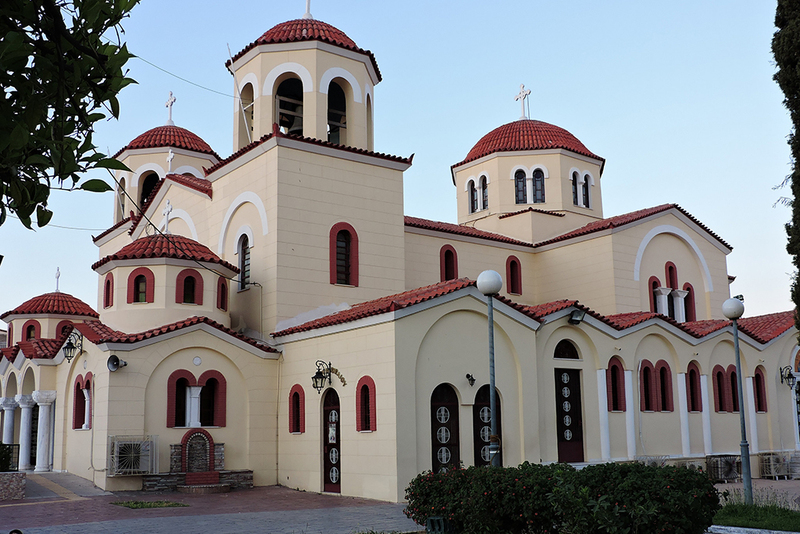 If the tourist crowds are getting to you, head to Pontikonisi at the southern tip of Kanoni. 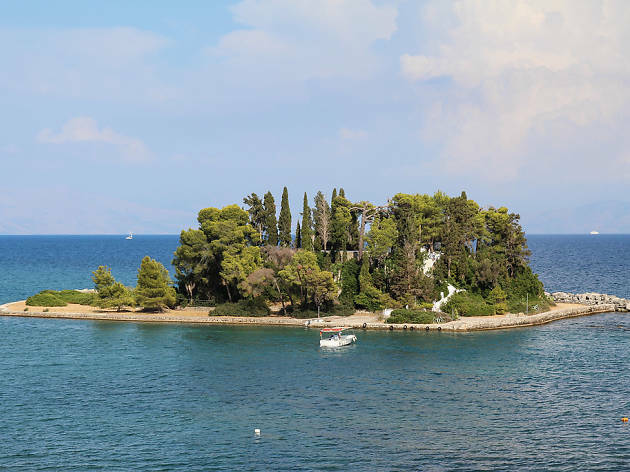 The tiny islet’s name means ‘Mouse Island’ in Greek. Here you’ll find the seventeenth-century Venetian Monastery of Vlacherna – it’s a beacon of calm amongst a quiet landscape of trees. It’s an iconic spot that you might recognise from postcards. What is it? 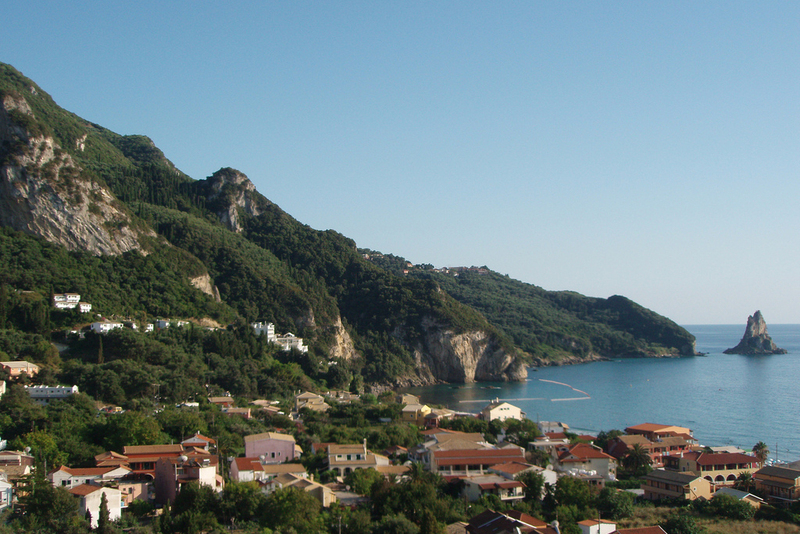 Agios Gordios is a coastal village on the west coast of Corfu known for its views and charm. Why go? 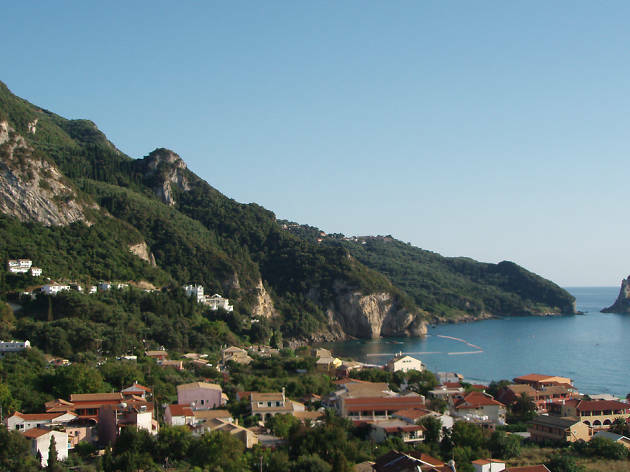 A combination of Corfu’s lush mountains, olive groves, sandy beaches and pastel-hued buildings can all be found in this quaint, quiet and traditional village which connects to three smaller villages (Kato Garouna, Pentati and Siaredes) at the foot of Panteleimonas Mountain. Best for walks with a view and watching local life pass by.